According to WHO Anaemia affects 1.62 billion people, of which the most affected are women and children. Even though anaemia occurs due to various reasons, Iron deficiency is the most common and widespread nutritional disorder in the world leading to anaemia. Well, it was very embarrassing to hear those from my doctor in front of everyone at the clinic lobby. I just usually stare at my parents who try to give out the excuses to the doctor. Next he gives me out a list of medicines (bigger in size) and repeats the same list of vegetables and foods I should take properly. The same scene repeats itself wherever I go! My mental levels were totally disturbed and I started to feel as if I was the only person who feels this turmoil all over me. All my dental treatments were on hold for years, just because of my haemoglobin levels. Yes! It’s just a number, but it brings upon adverse effects to our health like a chain reaction which in turn will affect our mental levels and quality of life. Its when lately (but not too late), I realized that most of the disease was just in my head and I had been blaming others for not taking care of my health. Yes, there is a way out of all this suffering with Reiki aiding us from inside to out! We can feel full of energy and breathe effortlessly with Reiki’s magical touch. There had been many experiments and surveys with proven, evidences that concludes, Reiki had helped in increasing haemoglobin levels. Am going to share with you a visualization technique and practice that’s going to drive your haemoglobin molecules increased. What you need to realize is very simple! Be aware of your body and listen to it. Root Chakra or Muladhara Chakra – This chakra is located at the base of spine. Blockage of this chakra manifests as many diseases, including the blood related diseases, anemia. Emotions related to this chakra: Survival and stability in one’s life. Now you can easily relate to the understanding of this chakra, as the negative emotions and fear you absorbed from your surroundings will only add to the further decrease of haemoglobin levels and give you a shock. As advised earlier by your doctors and friends, it’s true that the intake of natural foods gives you more positive energy and good nutrients for your body. Eating red foods, especially healthy vegetables such as: Beetroot, tomatoes, berries, dates, apples, pomegranates, etc. along with the other natural foods that are advised to take according to the deficiency causes. The initial symptoms that turn down us are tiredness, fatigue and breathing difficulty. It’s due to the lack of sufficient oxygen to all your tissues that in turn affects the functions of the body. Pranayama or other breathing exercises helps us to get rid of these symptoms getting worse. Follow a 10 minute, deep breathing exercise daily with full awareness. And finally, let’s move onto the Reiki visualization technique. Its very simple and I had given you an illustration below to follow up. Prepare the space well by clearing out the negative energy by burning some incense sticks or smudging techniques that you usually follow. Take three deep breaths and make yourself feel completely relaxed. You can additionally use crystals such as Carnelian, Red Jasper, Ruby, Bloodstone, Garnet, Hamaetite etc. Invoke Reiki and give the deepest gratitude to all the angels, spirit guides, Reiki masters and the universal energy. Draw a big Cho Ku Rei followed by the mental healing symbol Sei Hei Ki and state your intentions/affirmations clearly. All my Red Blood Cells are filled with rich haemoglobin molecules and oxygen. Reiki energy fills the haemoglobin molecules with pure light and oxygen. Give Reiki to your Root Chakra/Muladhara Chakra and visualize yourself surrounded by a big ball of red light. Keep repeating your affirmations, visualizing your cells being filled with the red light. Give Reiki to other chakras as guided and seal it with Cho Ku Rei. You can also draw the distant healing symbol and give Reiki to the visualized new haemoglobin levels. Express your gratitude and feel your cells alive and nourished. Feel yourself secured and grounded. That’s not the end of it, continue your practice every day and feel yourself nourished with healthy cells and give gratitude to it. And of course tomorrow you might share your successful health story to someone and light their hopes. Have a blissful blessed life always! Love and light to all! Being an architect and an artist, Akshayaa feels blessed and grateful to imbibe spirituality through all forms of her life and career. An ardent devotee of Shirdi Saibaba, her journey was guided by him through various levels and one such great potent was Reiki! 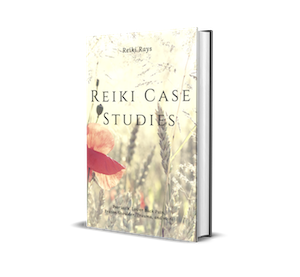 Reiki had been everything to her through its various forms such as a friend, family via other healers all over the world and guiding her to other spiritual channels. Having the gift of being a channel, surrounded by divine angels and a healer, she believes her life soul’s purpose is to provide helping hands to every single soul on this universe. You can feel inspired by her spiritual journey and career through her blog http://beingawesomebyyourself.blogspot.in/ and her Facebook page: Undelivered letters. For all your healing needs or any help feel free to contact her at, happyheartswithreiki@gmail.com. Hi Akshaya…,really needed one,thanks for sharing such a motivational article. Hello akshaya…. Plz upload great tips article regarding reducing body weight.